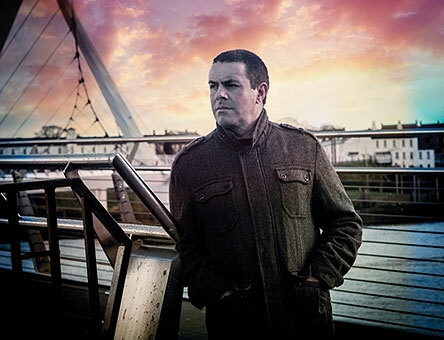 Speaking about his 2016 album Celtic Skies, Northern Ireland-based composer and recording artist Eamonn Karran tells mwe3.com, “I think in many ways Celtic Skies has two distinct personalities. There’s the solo piano side that takes me back to the melodies I always loved playing, and there’s the more flamboyant, big production side that reflects my love of electronic orchestral music. The fact that I am able to successfully merge these styles into one album is wonderful. Maybe one day I will release a solo piano album, but for now I’m enjoying the freedom of being able to let these two personalities run free to create music that reflects every genre and tradition that has influenced me throughout my musical life.” In many ways, Eamonn’s statement sums up the spirit of Celtic Skies. At home with solo piano musings backed up by light synths — as well as working with lush orchestrations and singers who capture the essence of his Celtic and Irish melodies — Eamonn Karran brings his music to yet another sonic plateau with Celtic Skies. 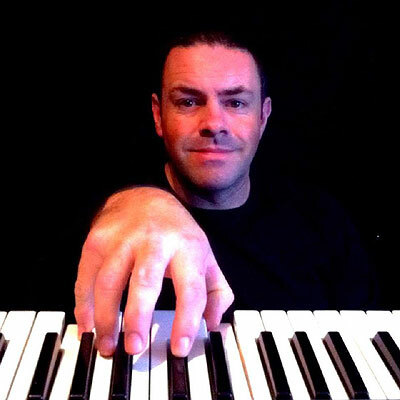 Although Celtic Skies started out as a solo piano album, Eamonn’s fascination with both 21st century technology and the fascination of Irish melodies sung by human voices brought the album to life with a stunning and diverse range of studio refinements putting Eamonn on the cutting edge of VST (virtual sound technology) instruments. Celtic Skies brings 21st century Irish New Age music to far-reaching heights once only dreamed about. With the 2016 release of Celtic Skies, listeners far and wide can appreciate Eamonn Karran’s fascinating mix of Irish-flavored instrumental and vocal music. mwe3: What’s new in Derry City and how’s your family? Where else have you been these past couple years? Are you a grandfather now? Eamonn Karran: Yes it’s wonderful! I’m now a grandfather to two little boys, Olly and Harry. Olly is almost 2 and Harry is just 1 month old, so life is busy and exciting. My family are all well Robert, thank you. I’ve been working hard this last 18 months on Celtic Skies, a real labor of love and I’m delighted with the results. My aim is to take my productions from the studio to a live show. This is something I have been looking into over the past year and is a real dream of mine. My first solo piano performance is on the 19th of July in the beautiful Christ Church Cathedral Dublin with American pianist Rebecca Harrold as part of the Enlightened Piano Radio tour. I have been in discussion with other local musicians, so hopefully a stage show will happen sometime over the next year. Derry City is buzzing with music. Since it became the UK city of Culture in 2013, it has become a hive of live music. There is such a rich tradition of performance here and it is alive and well in the young generation. It’s exciting to be part of this and to be surrounded by such a wealth of talent. mwe3: You were inspired by your mother while you were making your 2015 CD Forgotten Road. Were there new experiences that inspired you on the 2016 CD release of Celtic Skies and can you tell us how you approached the musical ideas and then how it turned into the finished album? 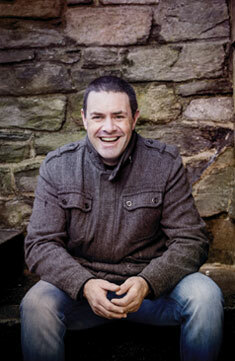 Eamonn Karran: Forgotten Road was in many ways a darker album that was influenced by the sad passing of my mother. I have a deep fondness for Forgotten Road as many of the tracks are extremely personal. When I began composing for Celtic Skies my initial idea was to go back to my roots as a pianist and compose an album of mainly solo piano pieces. This album was to reflect how I felt being not only a father but also now a grandfather. I found myself recalling memories of spending wonderful days with my wife and kids and how lucky I was to be surrounded by such amazing people and to have the time and health to be able to enjoy these years. As I gradually built up pieces of music, I found myself hearing different sounds and ambiences, and literally running to the studio to put down scratch tracks before the ideas left me! Over the course of a year, as many tracks took shape, I realized that these solo piano pieces that I had initially composed were now turning into a completely different album and Celtic Skies was born. mwe3: The Celtic influence was apparent on Forgotten Road so is Celtic Skies even more influenced by your roots in Northern Ireland? Eamonn Karran: Yes, absolutely. I live directly on the border between Northern Ireland and the (South) Republic of Ireland, so I find myself heavily influenced by many traditions. My relations are from Ireland, England and Scotland, so I tend to add little snippets of music and sounds that reflect these traditions and the journeys they have made. Forgotten Road was certainly a much more emotionally charged album, whereas Celtic Skies has, in my opinion, a stronger Celtic vibe running through its tracks. mwe3: You were talking about new instruments last time and as on Forgotten Road you recorded Celtic Skies with the Yamaha P105. What other instruments helped you shape the Celtic Skies album and can you compare the VST piano sound with acoustic pianos as you mentioned Steinway last time. Eamonn Karran: I’m a little bit like a kid in a toy shop when it comes to VST’s! I love having loads of instruments at hand so that when an idea hits me, I can have a wide selection of sounds to work with. Over the past two years I have been looking for that unique VST that will offer me a one stop shop for inspirational sounds that will set my creative juices flowing. Unfortunately I’ve yet to find that golden egg but I have ended up purchasing a few new instruments and sample packs that have completed changed the sound of Celtic Skies. When producing bigger pieces, this piano in much easier to blend in with the other instruments than an acoustic piano - simply select the correct mic position and job done. Apart from VST’s, I also used my hardware synths for some of the nice sweeping choir and string sounds. A Yamaha Mo6 was responsible for some of the background ambience, with my old school stuff, Korg 01/W and Yamaha TG100 tone modules being used for a few touches such as bells and light Rhodes piano. If I had the choice I would set up a completely hardware based studio. I still don’t think there are many VST instruments that can replace the sound of “real” synths, so I do strive to use these as much as possible. mwe3: How do you implement the software programs when you record music and were there specific software programs that helped you achieve some of the effects on Celtic Skies? Are some software programs more user friendly when it comes to getting some authentic Celtic sounds? I’m thinking of the song “Wildflowers” on Celtic Skies which features some excellent Celtic sound effects. Eamonn Karran: I use a DAW called Reaper. I find it incredibly efficient for composing. Within Reaper I load a good selection of my instruments using Kontakt 5. The Uilleann pipes and Irish whistle are from Cinewinds Pro. These were the only sounds that had to be recorded at another studio; none of the instrument sounds you hear are loops or midi files, everything was performed and recorded live. I believe this creates much more emotion and feeling and definitely gives the instruments a more natural, realistic sound. Probably one of the most amazing features of Cinewinds is the way the instrument reacts to one’s particular style of playing. You can hear the little subtle runs on the pipes between notes, simply incredible to play. The Harp and orchestral strings used in many of my tracks, including “Wildflowers,” come from IK Multimedia’s Miroslav Philharmonic Orchestra. Much of the percussion is from Sampletank 2.5 ethnic collection. If you listen carefully, you will notice that the percussion on “Wildflowers” isn’t quite in time. I didn’t want the track sounding too robotic, so I played it live on keys and used very little processing. I wasn’t sure if this would work initially, but think it fits well. I also used some world percussion loops for other tracks to build up the backline. mwe3: The lead off track on Celtic Skies is called “Irish Skies.” What can you tell us about “Irish Skies” and how did you decide to feature the vocals by Erin Kelly, and what can you tell us about Erin and the lyrical message in the song? Can you quote a key line or two of lyrics? 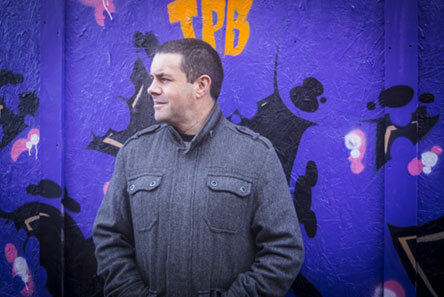 Eamonn Karran: “Irish Skies” is a wonderful track and one of my favorites to date. I had this piano melody running through my head for some time. I wasn’t sure about it at first, it seemed too simplistic, but I couldn’t get it out of my mind. So I sat down and recorded a scratch track just to see if I could do something new with my idea. I have worked with Erin on many projects over the last four years but never actually got her to sing on my own pieces. Erin is an accomplished vocalist who performs at ceremonies and events throughout Ireland, so I had the idea of writing a song for her with lyrics dedicated to my late mother and father. The “Irish Skies” melody seemed perfect, so I set about putting down some lyrics. Then Erin and I sat down and decided that the best approach would be to start with vocals and end with piano/pipes solos to create the Celtic theme. mwe3: Track 2, “New Life,” is a much more piano centric instrumental. Is the title symbolic of a new start or a new musical vantage point? The song has an air of newness or starting over. It’s a great song that sounds more neoclassical than New Age, in my opinion. Eamonn Karran: I agree this is not particularly New Age, although it still maintains that Celtic feel, somewhat of a Phil Coulter vibe, I think. My intention here was to create an uplifting track, using the subtle brass and strings to create a celebratory air. This is my “New Life”, my time to celebrate everything that is good in life. I have so much to be thankful for and this piece expresses those feelings though music. Near the end the pipes continue the uplifting feel, leaving the listener feeling a little more revitalized. I’m delighted you enjoyed this track; it’s very relevant to how I have been feeling recently and how I have moved forward musically and emotionally over the last year. mwe3: Track 3, “As One,” has another vocal. Who’s singing that track? Would you say that style of Celtic music is the original New Age music? How did you craft that melody, and is there some inside story on the lyrics? It seems like a very serious and somber, almost ominous song, lyrically. How about the drumming sound? What other Irish sounding effects are you using on that song? Eamonn Karran: This track features a Scottish singer called Iona Leigh. Iona has been featured on many recordings over the years and recently released a selection of vocal samples that can be used to create entire songs. She has a beautiful tone, exactly what I wanted for a couple of my tracks. Whilst searching through the samples, I found these lyrics and they immediately struck a chord with me. My mother never got over the passing of my father at the tender age of forty-two, and these lyrics reminded me so much of her longing to be with him. “As One” was created around Iona’s vocal lines and was inspired by the sounds of Clannad. I’m a huge fan of Irish singer Moya Brennan, and how along with the group Clannad, she created such incredible haunting vocal pads. Iona’s voice reminded me of Moya and I wanted to create a track that had the feel of Clannad but still had my own touch. I sampled sections of her vocal lines and used stretch and reverse effects to form pads. I then layered up her vocals on numerous tracks to widen the effect. The big bass drums were created using Sampletank, and Miroslav Philharmonik was used for the marching drums and harp. These are two fantastic instruments and complement each other perfectly on many of my tracks. The lead solo towards the end and synth pads are from Alchemy Synth, another favorite instrument that I use extensively for ambience. You may also hear a pulsing rhythmic pattern behind the other sounds. This is from an instrument called Signal, from Output. It’s basically a sampled piano added to a pulse engine. I’ve kept it quite subtle, flowing in the background. mwe3: “Boy Buries Mother” features singer Emma Lusby. Is the song autobiographical or where did you get the lyrical idea for the song? It seems somewhat more reflective than “As One” yet it’s also very Irish sounding and with a somewhat bleak lyric. Eamonn Karran: “Boy Buries Mother” is one of those collaborations that happened by chance. Whilst looking through Facebook I came across a young lady called Emma Lusby singing acapella who reminded me of another Irish singer, Cara Dillon. I loved the tone of Emma’s voice, and the fact that this was recorded on an iPhone mic and that she was note perfect. Upon further investigation I found that this song was actually written by a Dublin singer/songwriter called Dylan Walshe. Dylan passed the song to Emma and she created her own version. I immediately had some ideas running through my head, so I approached Dylan and Emma to see if they would allow me to add some music, just for fun!! I had never collaborated like this before, so it was completely new ground, but very exciting. Over the next few weeks we worked on a few ideas and decided that it would be best to get Emma into my studio to lay down live vocals. Emma is currently studying in Liverpool, so I had to wait until she returned home on holiday. I eventually got her in to record and after layering up some nice pads and piano, we passed the final version to Dylan who was delighted with the result. I spoke to Dylan about the lyrics and he explained that they came to him in a dream. The song is about his late mother. They are extremely deep emotional lyrics that are very personal to Dylan. He is an incredible lyricist/singer and has also recorded this song in his own unique folk style. For me this is what creating music is all about; giving other likeminded musicians the freedom to add their touch to your music. Dylan said he could never have imagined this song sounding this way, but at the same time loved my version. mwe3: “Ley Lines” is track 5 on Celtic Skies. What are Ley lines and how do they fit into the mythological nature of your music on Celtic Skies? There are so many mythological things in both Ireland and England right? Did you choose to make that song a solo piano track? Eamonn Karran: Ley lines are invisible grid lines that connect places of spiritual or mythical importance. Although they don’t physically exist, to many they have deep significance and harbor great power and energy that can be harnessed. My first experience of Ley lines was on a trip to County Sligo, many years ago. I came across a so called “Fairy Road” or “Magnetic Hill” at the foot of Benbulbin, a world renowned tabletop mountain. This stretch of road gives the sensation that gravity seems to be in reverse, i.e. my car will roll uphill for a short period and then suddenly stop. This is apparently an effect of Ley lines crossing. Although the reasons for this are still unknown, there are many folklore stories about mischievous Fairies being responsible! Although I don’t particularly buy into this story, it’s great fun for the kids. I have returned to this road a number of times with my family who are amazed by what happens. “Ley Lines” was to be one of my solo pieces. It was improvised around two chords and was recorded in one take. I never really thought about adding any instrumentation as I felt it was complete as a solo track. I wanted to express a feeling of wonder and magic, what a young kid would feel after hearing stories of how fairies suddenly appear to push your car up the hill! I love the stories and myths that have been passed down through generations. They have been part of my own upbringing, and it’s always wonderful to pass these onto my kids. mwe3: “Wildflowers,” which I mentioned before with the buzzing pipes sound, is that one of the more adventurous composed tracks on Celtic Skies? How many tracks did you layer on “Wildflowers?” Who sang the lead on that track? I recall the song “Wild Mountain Thyme” and “Wildflowers” has a kind of kindred air to it. Eamonn Karran: Whilst on holiday we visited a great attraction called Silent Valley on the east coast of Northern Ireland. There is a story that during the building of a dam, all the birds left and never returned. To this day you will not hear or see a bird during your visit to Silent Valley. It’s quite eerie but still a remarkably beautiful place. Many of my photographs showed brightly colored flowers growing in the middle of the wilderness, and these lyrics seemed to fit perfectly with the feel of this track. Originally, “Wildflowers” was an instrumental based around piano/uilleann pipes. I wanted to convey the emotions I felt as I walked through Silent Valley, but as the track developed I realized that vocals would be needed to lift the track. The words and melody of the vocals are based around “Wild Mountain Thyme”. Many of the recordings done by Iona are taken from old Celtic poems and melodies, which are in the public domain. I think in total there were around thirty tracks used to create this song. There are a lot of very subtle sounds running in the background, such as a canjo! This is a simple little Kontakt instrument that creates rhythmic textures that complement the drums, very effective. mwe3: “Call of Hy-Brasil,” track 7, has an interesting title. First I thought of the country but then I found out Hy-Brasil is a phantom island off the Irish coast. Is it part of Ireland? What else can you tell us about Hy-Brasil and why you feature the song on the Celtic Skies CD? Also the effective wordless female vocals are great, and how do you get the strings sounds on the song? 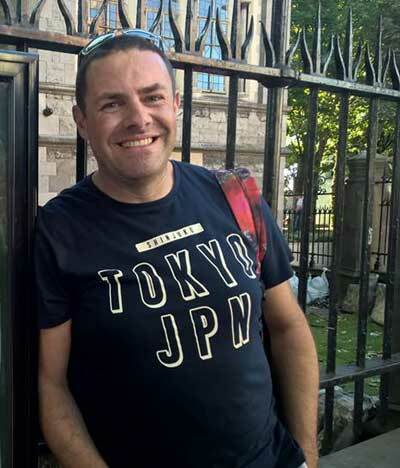 Eamonn Karran: I love mythology, so when I heard of a strange island off the coast of Ireland that wasn’t on any modern map, I simply had to investigate. Hy-Brasil has been charted on older maps over the centuries and a few explorers have claimed to have visited the island which they describe as heaven on Earth. The civilization that lived there was extremely beautiful and lived in peace and harmony. One such explorer claimed that they were given gold upon leaving and afterwards returned to the island with his wife and family who also confirmed its existence. One of the strangest stories is that this “island” is a perfect circle and only appears once every seven years, which has led many UFO investigators to claim that it could be some form of craft that resides below the ocean and could even be part of Inner Earth or Agartha that rises to the surface. I wanted to create a mystical, sea siren feel to this track. Not so much Celtic but more mellow, chilled, and even slightly hypnotic, using a sampled loop rhythm running throughout the song. I also wanted to portray that feeling of awe upon finding such a heavenly place. The vocal lines where samples from Iona Leigh which I edited and layered to create that haunting call of the sea sound. The strings and pads are from Alchemy synth. Alchemy synth contains a huge range of pads and strings that can be edited to create incredible effects. I also used a smooth vocal pad from Alchemy to compliment Iona’s vocals. I’m fascinated with this story and do believe that there is an element of truth there somewhere. Maybe someday soon we will find out what, exactly, is Hy-Brasil. mwe3: “Lost Souls” is one of my favorites on Celtic Skies. It has such a bouncy yet authentic kind of Irish style on it. Does that track have your signature instrumental sound on it? Are those the Uilleann pipes that give the track that special sound? Why did you call it “Lost Souls?” I know you said you were a big fan of Irish bands like Clannad, so is this one of the more pop sounding instrumentals on Celtic Skies? Eamonn Karran: This was one of those tracks that originally had no name. It started off with a simple piano chord progression and I really couldn’t get my head around what to do next. I wanted to create a track that was a little more commercial, that had a signature Celtic feel. Being a fan of Clannad and Enya, I sat listening to some tracks for inspiration, and in particular Enya’s new album Dark Island Sky, which, by the way, I think is amazing. I spent a few days in the studio working on new sounds and came across a VST called Realivox Blue. This VST creates vocal lines from a word builder, and allows you to play these phrases by midi. I put together some random spiritual words and layered up the vocal lines to create the vocal pads. I wanted to create a track that had the pop/commercial feel of Enya, but still fit in with the rest of my album, so I added pipes and marching percussion. This track was more like a mish-mash of pieces and ideas that should never work, but for some reason they do, and have come together to form one of the most unusual tracks I have created to date. It is a direction I’m going to explore for my next album. I’m always looking to attract new audiences and maybe a few more commercial tracks may be in the pipeline. The name “Lost Souls” was decided by my listeners. I actually had no name as the track wasn’t influenced by my own experiences, so after getting loads of ideas I decided “Lost Souls” worked best. mwe3: Track 9, “Ocean,” is a very deep sounding track. Would you say that song is one of the more authentic New Age tracks or is it, too, in its way, very Irish sounding in origin? The pipes come back in near the end of the song so I imagine it has a very Irish influence, too. Eamonn Karran: I’m blessed to be surrounded by the ocean. I live only a few miles from the most wonderful coastline, so it’s always had a big influence on my music. I have a deep love for the ocean. I appreciate its beauty but also respect its power. I think it is certainly a more neutral song until the pipes appear which, by the way, was a late addition as it was initially a piano/strings piece. Overall I wanted to give this track a mysterious feel, as if we are sailing into the unknown depths of the ocean. So many have paid with their lives working the waters around Ireland so the end is a sort of lament, the lone piper playing on the shoreline, his tribute to all those souls, lost at sea. mwe3: “Curse of Glenveagh” has a kind of ominous title. Is that Robert Peoples on violin? Are curses part of Irish history? There must be so many curses in Celtic mythology, so is there a story about this title? Eamonn Karran: There is a great story to this song. Last summer I took my kids to Glenveagh National Park, which isn’t far from where I live. It’s Ireland’s only national park and is a beautiful place. This was actually my first time visiting, so naturally I was curious about the history of the park and its castle. It’s a magnificent structure, which was built around 1860 by an American property speculator John Adair who moved to Ireland and bought up large swathes of land. He had a reputation for brutality and in 1861 he started violent evictions of tenants from land around the castle so that he could expand his estate. In all 224 people were displaced and forced into workhouses. The story goes that one of the tenants placed a curse that anyone who ever owned or lived in Glenveagh Castle would remain childless and to this day, none of the owners have been able to have children. I love these stories and legends, even more so when there is an element of truth to them. I wanted to create an air of fear and terror in this track, with the whispering chants at the start depicting the curse, to the war like drums as over 200 members of the police marched into Glenveagh to drag people from their homes and burn them to the ground. The violin part is by Robert Peoples, an accomplished player who has performed around the world with many artists. I told him the story behind the track and asked him to convey the emotions; fear, sadness and anger. Towards the end, the crying high pitched violin along with the whispering chant and Bodhran drum beat were to create an image of sheer devastation as the curse is finally sealed. Glenveagh was handed over to the Irish people in 1980, and has since been converted into a fantastic tourist attraction. mwe3: How about “From Afar?” That’s one of the more pure New Age instrumental related tracks. Did you set out to make “From Afar” one of the more genre neutral sounding tracks on Celtic Skies? Eamonn Karran: “From Afar” was originally a piece that was to form part of a contemporary piano album of mainly solo pieces. I had the idea to create an album that went back to my roots as a pianist. Real Music and I worked together and realized that a piano heavy album wouldn’t work. I needed to create an album that would stand out, something that reflected my traditions but that also would appeal to my usual target market. We decided that this would be one of the pieces I kept on the album, so I added a few touches of orchestration to lift the track. It’s quite a simple melody and represents the view of today’s world through the eyes of a child. How as we grow up we live such a fast paced life. I wanted to look from the outside, from a simpler time where technology doesn’t control our every thought. mwe3: Track 12, “Brokenhearted,” features another vocal. Who is singing that track? Any inside story on “Brokenhearted”? Eamonn Karran: This is another piece that features Iona Leigh. A lot of her singing is based around old Scottish traditional melodies so I based the piano around her vocal sample. I had an original melody, similar to the final track, and when I heard her sing those lines, I knew this would work alongside the piano. I wanted to create a bittersweet track, yet again with a Celtic feel. This song was created quite quickly, the whole melody just seemed to flow and most of the piano was played in one take. I was intending to use Robert Peoples and a live piper on this track, but unfortunately they weren’t available, so I used Cinewinds to create the solo. There isn’t really a story behind this song. I just loved listening to Iona singing and her melodies and tone always inspire me to play. mwe3: Track 13, “Late Night Piano,” closes out Celtic Skies. It’s an enjoyable track that features a piano solo. Does that track infer you might go back to a more pure piano album next time, or will you keep delving into the Celtic / Irish music well next time around? What other plans or ideas do you have for 2016 and into 2017? Eamonn Karran: I think next time I will probably continue with the commercial feel whilst still maintaining my Irish influence. I’ll definitely be including some piano works, but maybe not as many as previous albums. I love producing big pieces and experimenting with new sounds and ambiences and I especially enjoy sampling and manipulating live vocals to create new atmospheres, so this is a direction I will be trying out for album four. “Late Night Piano” was a one take improvisation recorded at home one evening when the house was quiet. I just had this notion in my head to record and I sat at the piano, pressed the button and “Late Night Piano” was born! I posted the track online for feedback and a brilliant composer by the name of Craig Karolus approached me to add some orchestration. Craig is renowned for his music and is a master at creating wonderful string arrangements. I was stunned by his work. He really captured the feel of the track, that lazy, laid back, late night performance, so this was always going to be a track that was on the album. I have a soft spot for this piece, and have always enjoyed listening back when I needed a moment to relax. I think in many ways Celtic Skies has two distinct personalities. There’s the solo piano side that takes me back to the melodies I always loved playing, and there’s the more flamboyant, big production side that reflects my love of electronic orchestral music. The fact that I am able to successfully merge these styles into one album is wonderful. Maybe one day I will release a solo piano album, but for now I’m enjoying the freedom of being able to let these two personalities run free to create music that reflects every genre and tradition that has influenced me throughout my musical life.